The Master of Translation and Interpreting (MTI) program in China is characterized by practice orientation, which stresses the integration of practical and professional knowledge with theoretical learning. Obviously, classroom-based exercises can hardly fully satisfy the requirements of practice orientation, and students are expected to actively participate in various translation and interpreting activities and take comprehensive and systematic practices. 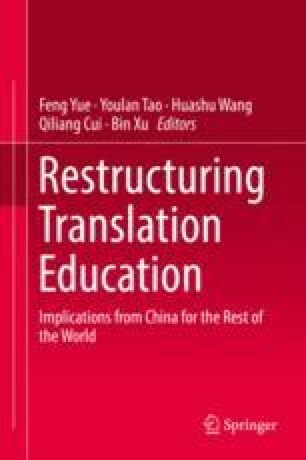 Many universities, however, find it difficult to get such opportunities and assemble related resources for MTI students, which greatly impedes the development of translation talents. To address the problem, this paper introduces the practices of the MTI programs at Fujian Normal University, Nankai University, and the University of International Business and Economics, which have tried to establish useful practice-oriented platforms with effective interorganizational collaboration. Analysis of the three cases shows that, to follow the practice orientation in an MTI program, it is important to make good use of interorganizational collaboration integrating production, learning, and research.